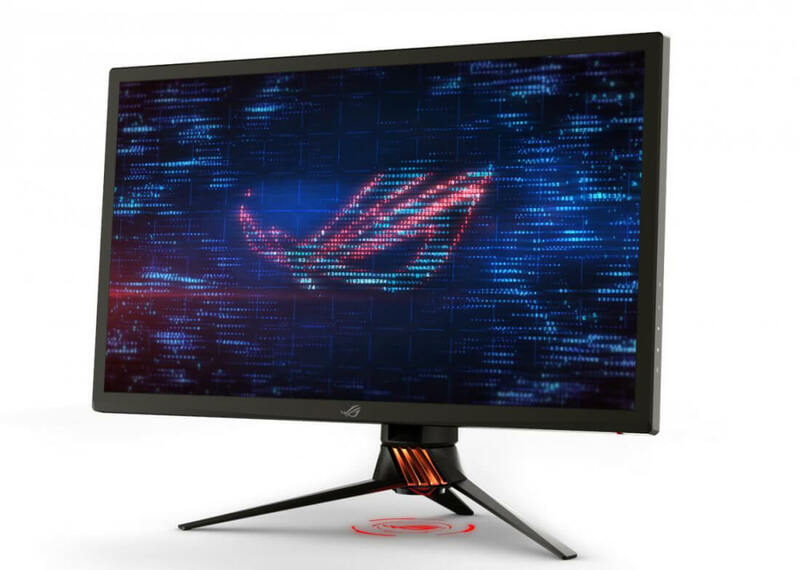 Asus isn't quite ready to share official details of their next-generation ROG Swift PG27UQ monitor, however a press release has leaked ahead of schedule, revealing an incredibly impressive display with technology that hasn't been seen in PC monitors before. The 27-inch PG27UQ is the first monitor to support 4K at 144 Hz. Every other 4K monitor up to this point has been limited to 60 Hz, so Asus is really raising the bar here. Even more impressive is the fact that this display uses IPS technology, which has historically lagged behind VA and TN technologies in refresh rates. Asus is advertising the PG27UQ as a HDR monitor, and the leaked press release hints at the inclusion of Nvidia "G-Sync HDR" technology, which hasn't been announced by Nvidia at the time of writing. This monitor achieves a peak brightness of 1,000 nits, and it supports the DCI-P3 color gamut for a 25% wider gamut than sRGB. The panel's LED backlight can be locally dimmed in 384 zones for higher-than-usual contrast, and we're even seeing the use of quantum dot technology. As this display is targeted at gamers, Asus has used a stand with aggressive red highlights and 'gamer style' patterns. The monitor packs two DisplayPort 1.4 ports along with HDMI, although it's unclear how the monitor supports 4K at 144 Hz as DisplayPort 1.4 is capped at 4K at 120 Hz. There's no word on pricing or a release date for the PG27UQ, however you can bet it will be a very expensive monitor when it hits the market.